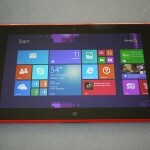 If technology were more like the fashion world, this fall would be the “in” season for small, color tablets. The runway shows would feature Amazon’s Kindle Fire HD in September, Apple’s iPad Mini in October and Barnes & Noble’s Nook HD, available now. Among this tablet trio, the Nook HD stands out with the highest-resolution small screen, and its redesigned interface continues to prove that Barnes & Noble, no doubt still a bookseller in the minds of some consumers, is taking software quite seriously. 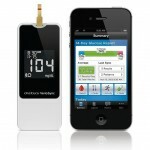 Plenty of people will use the Nook HD for reading e-books or digital magazines and watching videos. To truly compete as a small tablet, however, it needs more apps: Only 10,000 apps are available for the Nook HD, while Amazon’s Kindle Fire HD runs some 35,000 apps and Apple’s App Store boasts over 275,000 iPad apps. 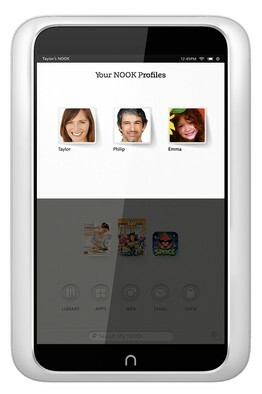 The Nook HD has apps for Twitter, Dropbox and Flipboard, but none for Facebook, Yelp or Pandora. 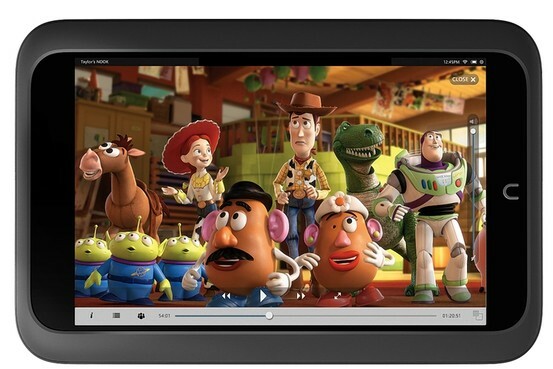 The device’s high-resolution screen (1,440 by 900 pixels) is a great way to watch video. The Nook HD and the Kindle Fire HD, which both have 7-inch screens, start at $199. At that price, the Nook has half the storage of the Kindle Fire HD but the Kindle has preloaded ads. The 7.9-inch-screen iPad Mini starts at $329. I’ve been using the Nook HD for the past week, and many of its new features make it a more complete, finished device. In particular, I liked how up to six people can share the device while maintaining separate accounts for privacy, though all must share the same payment source. Neither the Kindle Fire HD nor the iPad Mini has such a feature. This means Mom can keep her mystery novels from her 11-year-old, and she won’t see her 11-year-old’s games and apps. Content can also be shared among all users, and passwords are optional. The Your Nook Today screen shows content suggestions based on user preferences — and the weather. Barnes & Noble now offers Nook Video, where people can buy or rent content. Movie prices are comparable to Amazon Instant Video, though Amazon offers 48-hour rentals after the time the movie starts compared with Nook rentals, which are for 24 hours. Apple’s iTunes movies cost less for some HD versions, such as “Ocean’s Thirteen” and “Disclosure,” which each cost $14.99 on iTunes vs. $19.99 on Nook Video or Amazon Instant Video. Another new feature is Nook Catalogs, which lets users download free catalogs. Fewer than 100 company catalogs are now available, though this number should reach 100 in the next month, said a spokeswoman for Barnes & Noble. I downloaded Uncommon Goods, one of my favorite gift catalogs, and navigated directly from the catalog’s pages to the company’s Web site so I could buy items. I used a new Scrapbook feature to virtually tear out and save pages from magazines and catalogs with a two-finger, downward swipe. I named one scrapbook “Gift Ideas.” This can be shared across user profiles for gift-giving coordination. Nook HD still has its flaws. 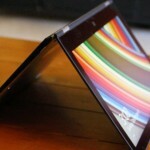 It’s missing the front-facing camera found on rival devices, and this will disappoint Skype users. Newly designed digital newspapers, which users can subscribe to and receive automatically as editions become available, feel stripped down. The pages and sections in The Wall Street Journal on my Nook HD felt disjointed and too much like books; indeed, the Nook HD’s version of the Journal excluded all videos. The Nook HD allows several separate accounts on one device, and content can be shared across accounts. On the device’s browser, some videos didn’t work in the small-screen player on WSJ.com and NYTimes.com, and videos on CNN.com didn’t play without first downloading Adobe Flash Player. A Barnes & Noble spokeswoman said certain videos now only play in full-screen view on the browser. An update to fix this is planned. In another unexpected wrinkle, I ran into an Android error message a couple of times. 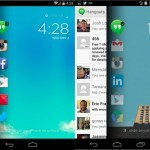 The Nook HD runs on a retooled version of Google’s Android operating system, but no regular user should see Android-specific messages. On the upside, the screen of this Nook HD is stunning. Text in e-books was clear and sharp. I watched “The Bucket List,” and its scenes of snowcapped mountains looked breathtaking. At 1,440 by 900 pixels, the Nook HD’s screen is better than Amazon’s Kindle Fire HD (1,280 by 800) and especially the iPad Mini (1,024 by 768). But as I watched the film, I noticed two things: One, the Nook HD speakers are loud enough for basic tasks — like email sound notifications — but didn’t sound sufficiently loud for this movie and another one I watched. I plugged in my headphones, and the movie sounded fine. Two, the back of the Nook HD feels soft, like other Nooks, but its frame is made of a plastic that makes it feel less refined than the polished, solid construction of the iPad Mini and Kindle Fire HD. 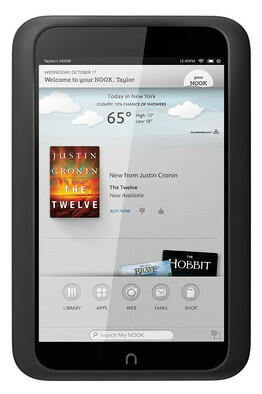 There are several ways to navigate the Nook HD interface. By tapping a little silver “n” just below the device’s screen, I always returned to my home page, which showed recently opened books, newspapers, magazines, apps or daily editions of newspapers in something called the Active Shelf. Five circular icons at the bottom of the screen guided me to different sections of the device: Library, Apps, Web, Email or Shop. A circle at the top right of the home screen called “Your Nook Today” suggests content each user might like based on preferences. Users must select at least one of these preferences during setup of the device. I think most will appreciate this feature, because it makes it easier to discover books and other content. Barnes & Noble’s Nook HD makes up for its ho-hum physical build with a remarkably good screen, and it does a nice job of helping users discover more content. But to play in prime time, it needs more apps that matter and fewer quirks.